Founded in 1884, Marks and Spencer are a staple of the British High Street, making its reputation in the early 20th century with a policy of only selling British-made goods. Today, stores sell clothing, homewear and quality food products and the brand proudly embraces sustainability with their Plan A over ten years old. 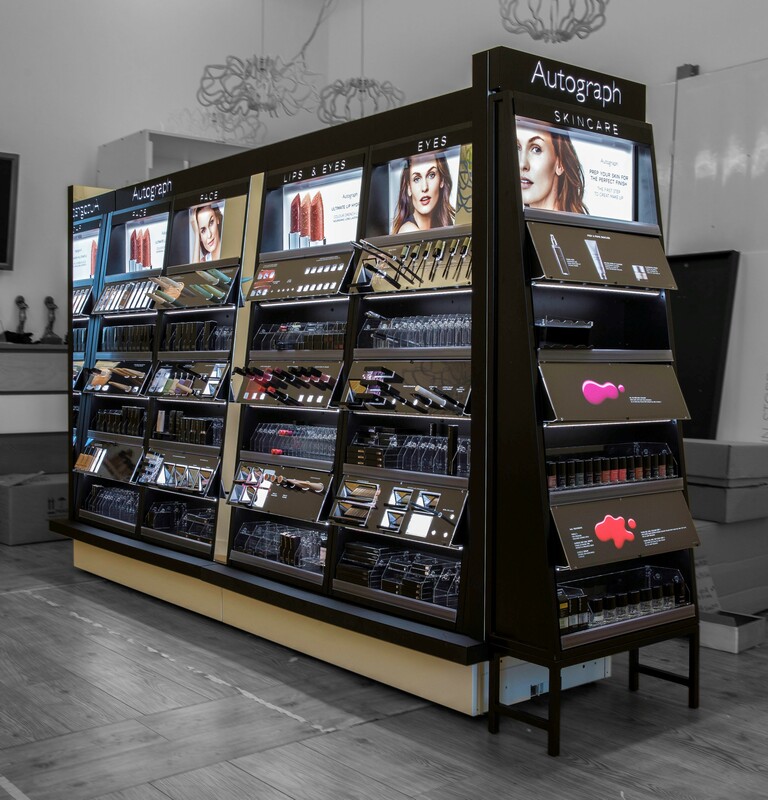 From concept to implementation we worked closely with the M&S beauty team to design and manufacture a range of displays for stores throughout the UK. 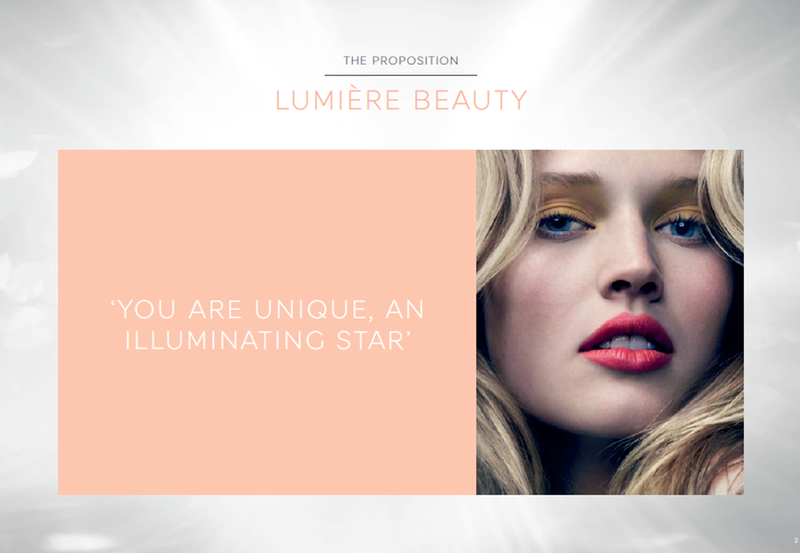 The brief was not only to transform the look and feel of the beauty department but offer customers an engaging experience to rival that of the high street premium cosmetic brands. 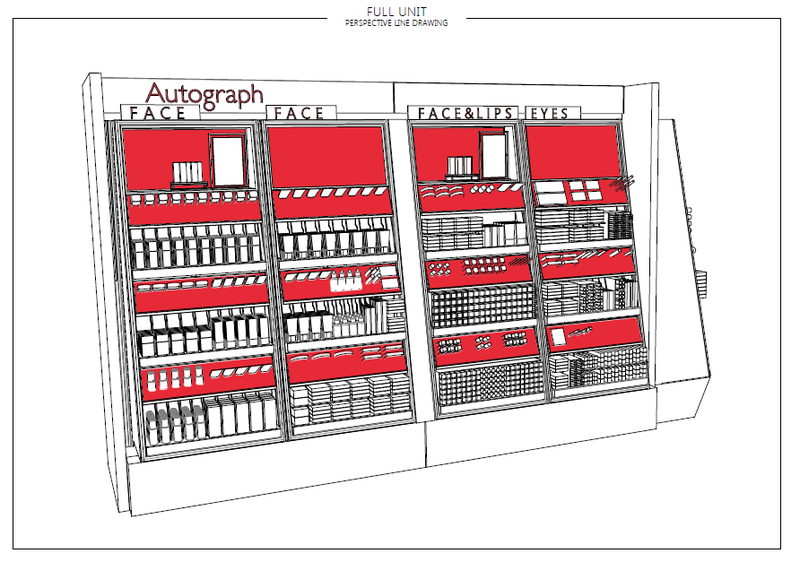 Our creative team relished the opportunity to take the Autograph Cosmetics range to the next stage in its evolution. Several options were worked up, taking inspiration from a variety of sources to create fully rendered concepts for team discussion. The final decision was one that the team loved, with innovative 'tester bar'. The chosen design concept utilises a modular tile system with integrated product trays to showcase the tester products and maximise stock loading. Each unit type was specifically designed to fit existing in store systems with all electrics being ‘plug and play’ to speed up the installation process. The combination of design styling and material finishes to highlight different areas of the unit creates a real eye-catching in-store presence, which was essential to ensure the M&S signature collection looks best in class. The success of this project has already been seen through an uplift in sales from launch and is an excellent example of the our in-house creative talent, technical discipline and manufacturing expertise from start to finish.